In February, it will officially be one year since HTC announced the One, its flagship Android smartphone. Several leaks suggest that the company is well on its way to releasing the successor in the coming months. 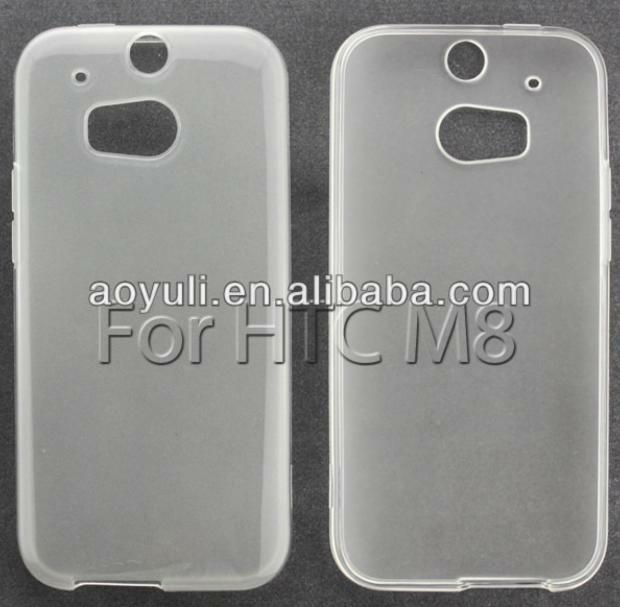 Now, a leaked cover for the M8, the alleged code name for the upcoming device, suggests it will have a fingerprint reader. As you can see in the photos above, there's a smaller space in the plastic case cutout above the larger area where the Ultrapixel camera and flash will likely sit. (The larger hole is almost exactly like the space on HTC One cases where the camera sits, so we're fairly certain that's where the camera will be). We can't imagine why else this area would be open, save for the possibility of a fingerprint reader or possibly another speaker. It's not out of the question that HTC will add this tech to its next smartphone. The One Max, which was launched in the latter half of 2013, was the first HTC Android device to sport the technology, though we admit the upper placement seems a bit awkward. Unlike the iPhone's Touch ID fingerprint reader, however, the scanner on the One Max required a swipe and could be used with different fingerprints to launch various applications, instead of simply unlocking the phone, and that small circular area probably isn't enough room for a swipe. HTC's M8 is also expected to offer a quad-core Snapdragon 800 chip, a 5-inch display with a full 1080p resolution, Android 4.4 KitKat and Sense 6. We hope HTC continues to move forward with its Ultrapixel camera technology, aluminum unibody design and BoomSound front-facing speakers, too. HTC may hold a press conference during Mobile World Congress to announce its next device, or it could opt for a standalone event as it did last year. For now, there's no word on when an event might happen, however.